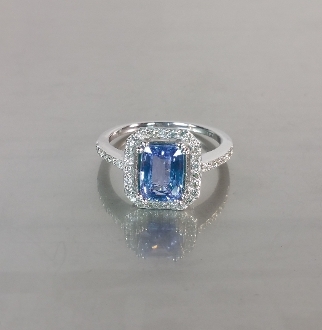 This conflower blue ceylon sapphire ring is set in solid 14 karat white gold and white diamonds. Cornflower blue ceylon sapphire total weight is 1.25ct and measures appoximately 6x8mm. Total diamond weight is 0.26ct. Please allow 2-4 weeks for production.